DBS&A has been providing consulting services to the mining industry for more than 30 years. The strength of our services lies in the combination of our staff’s practical experience coupled with strong academic backgrounds and knowledge of applicable environmental regulations. Our capabilities allow us to address the most complex challenges such as fulfilling closure requirements, optimizing the recovery of metals from leach facilities, evaluating future water quality in pit lakes, designing containment systems for leaching solutions and process water, and protecting the beneficial uses of water. 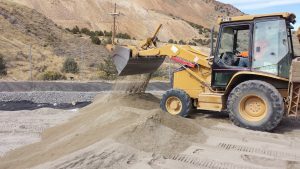 Our experienced staff has supported mining projects in a variety of climates and terrains, including tropical locations in South America, rugged mountainous areas in Nevada, and the arid Southwest. 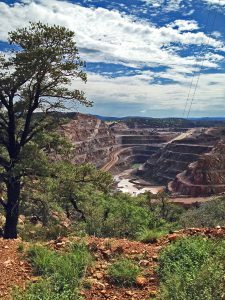 The types of mines have included aggregate, aluminum-bauxite, barite, metals, potash, and uranium. Our technical staff includes hydrologists, geologists, environmental scientists, engineers, and geographic information system (GIS) and AutoCAD specialists. The depth of our staff enables DBS&A to effectively meet a wide range of project needs. We help mining facilities to prepare final permanent closure plans and optimize closure bonding cost estimates. Cover design methods we employ include evaporation cells, evapotranspirative covers, and resistive barrier covers. 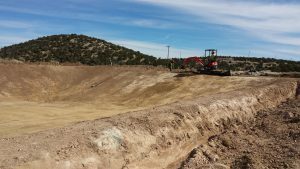 We develop reclamation programs consistent with intended post-closure land use. Germination and plant uptake studies assess the ability for native plant species to establish in the proposed growth medium (using ore, waste rock, or alluvium) in conjunction with reclamation drainage design and erosion control to contribute to developing successful re-vegetation programs. In addition, our services include the characterization and abatement of mine-related impacts. We manage corrective actions from small soil removal projects to the design and implementation of multi-media extraction and treatment systems. We perform groundwater and vadose zone characterizations, monitoring, and computer modeling to select and design cost-effective remedies. We perform characterizations, monitoring, and computer modeling to select and design cost-effective remedies. We manage corrective actions from small soil removal projects to the design and implementation of multi-media extraction and treatment systems. Our computer modeling capabilities include state-of-the-art codes for the simulation of groundwater flow and geochemistry. 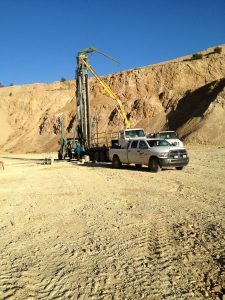 We are experienced in the simulation of complex hydrogeologic conditions encountered at mine sites, such as perched water bodies, underground workings in combination with open pits, and zones of preferential flow. We offer simulation of water quality using comprehensive hydrogeochemical analysis for open pits, leach pads, and in-situ leach operations. Our illustrations, 3D models, and animations range from conceptual renderings to data-driven visual interpretations. Using geographic information system (GIS) and Mining Visualization SystemTM tools, DBS&A creates coherent and comprehensive interpretations of surface and subsurface conditions, including visualizations of ore bodies, contaminant plumes, water levels, wells, borings, and block models. DBS&A’s natural resource team consists of renowned, high-caliber biologists and ecologists with the expertise to perform biological assessments, biological evaluations, habitat conservation plans, ordinary high-water mark determinations, wetland delineations, and mitigation and monitoring plans. We perform all aspects of evaluations for NEPA compliance and have experience with impact analysis for land use, natural resources, threatened and endangered species, water resources, socioeconomics and environmental justice, hazardous materials, air quality, noise, visual resources, and cultural resources. DBS&A’s nationally recognized Soil Testing and Research Laboratory performs testing to support closure activities. The lab is certified to determine the geotechnical, saturated, and unsaturated properties of soils and geologic materials. 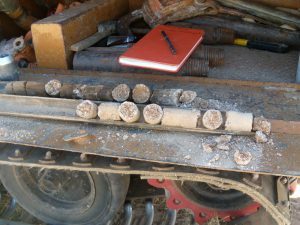 DBS&A’s soil testing and geotechnical analyses follow procedures established by American Society for Testing and Materials (ASTM), the American Petroleum Institute, and the American Society of Agronomy. In addition to using standard test methods, our scientists develop tests to answer unique questions of importance to our clients. For example, to help a mining client in South America optimize lithium extraction, the lab developed a method to estimate extractable brine from site-specific geologic and solution samples. DBS&A conducts water supply evaluations to optimize the use and management of water sources, including the engineering of required infrastructure, well field development, mine dewatering assessments, and acquisition and permitting of water rights. DBS&A also develops site-wide water balances using the GoldSim dynamic systems modeling platform or other tools. 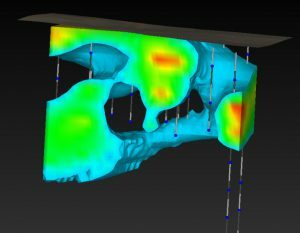 These models help mines manage process solutions and meet their water demands. Our staff has created GoldSim models to evaluate the effects different operational and climate scenarios have on leaching operations and future water requirements. 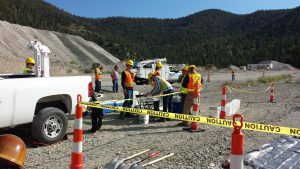 We work with mine personnel to obtain site data and prepare model components so that the models accurately reflect facility operations.